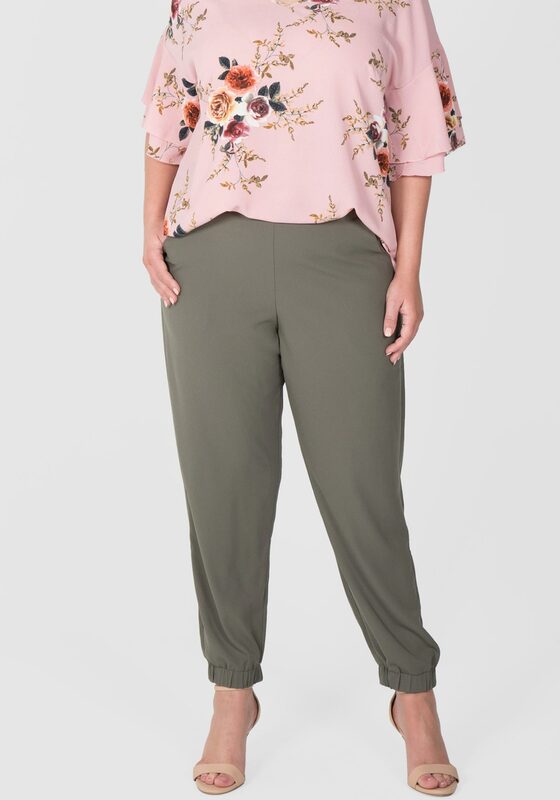 This beautifully soft pant is made from a stretch woven twill. Featuring a pull on ½ elastic waist and slimming cuffs at the hem this is your new favourite pant. Dress down with joggers and a tee for weekend catch-ups, or heels and your favourite tunic or shirt for after work drinks. Our model wearing Black is wearing a size 14. She is a size AU14, and is 5‘10" (177cm) tall. 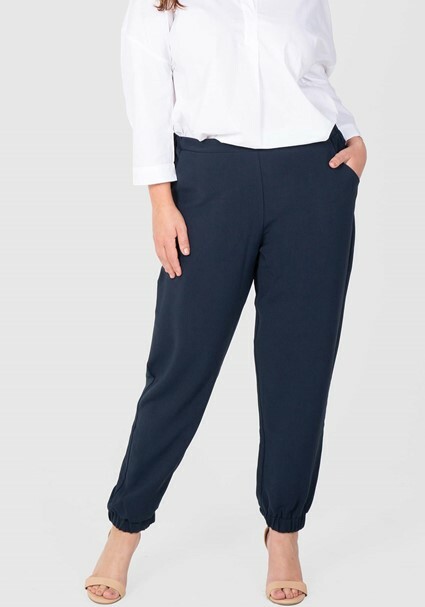 Our model wearing Khaki and Navy is wearing a size 16 pant. She is a size AU 16, is 5’9 (175cm) tall, has a 105cm bust, 112cm hips and 86cm waist. The inleg length is 72cm.